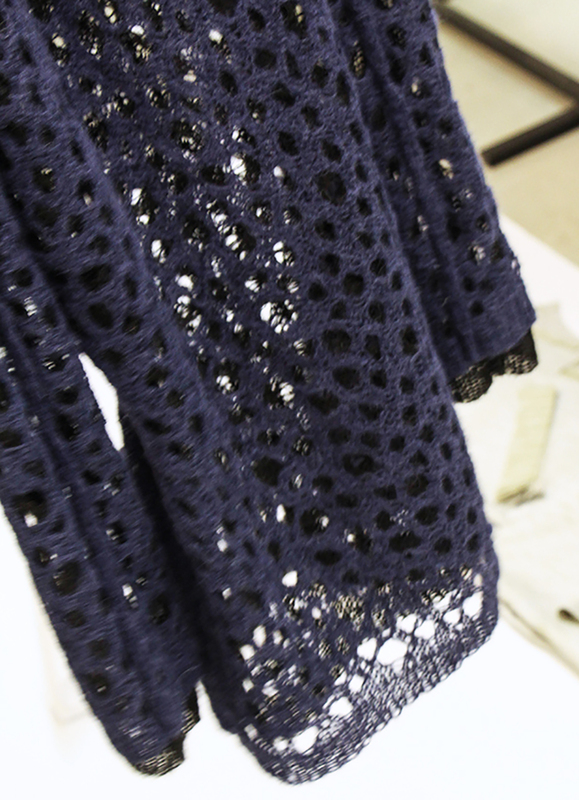 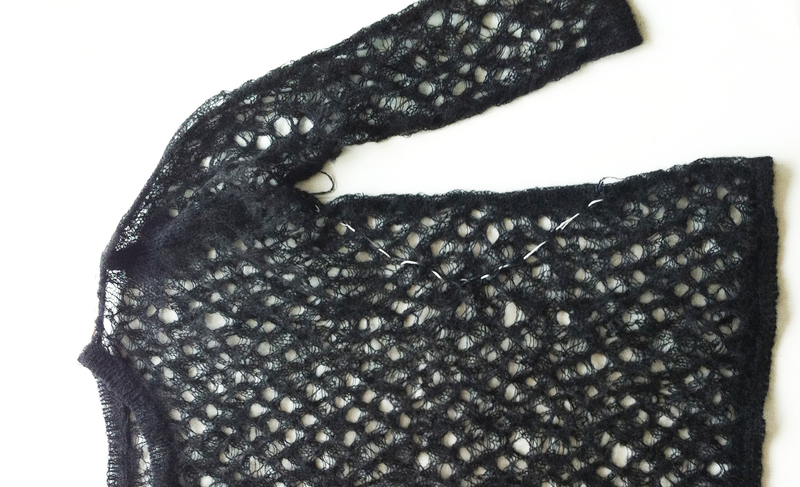 It is one of the heritage designs of Van Hongo, an alpaca version of a random lace knitting. 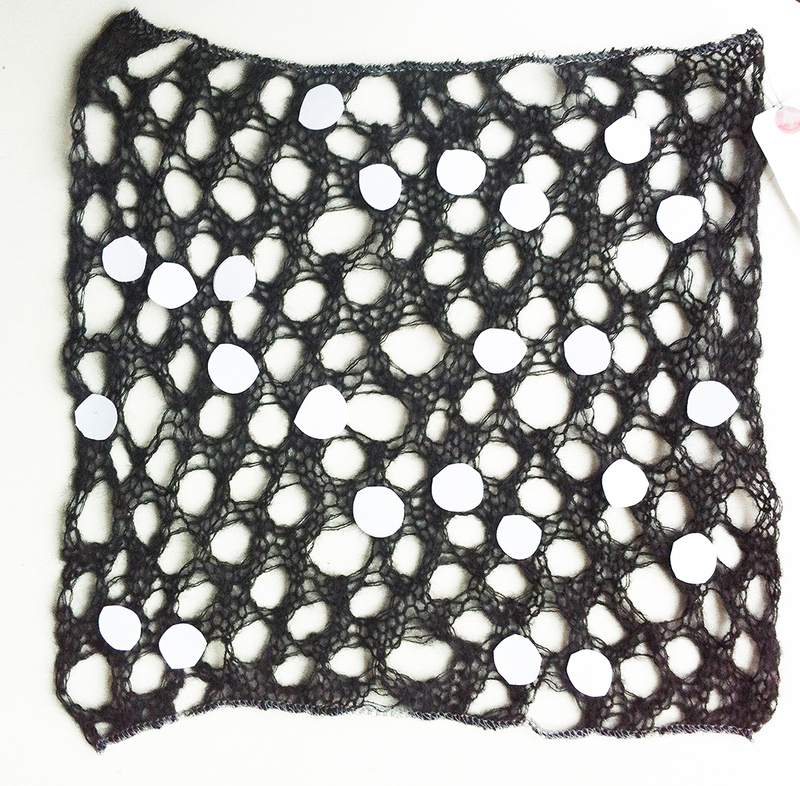 Most dedicated part of this knittied fabric is how these lace holes have random size and random placements. 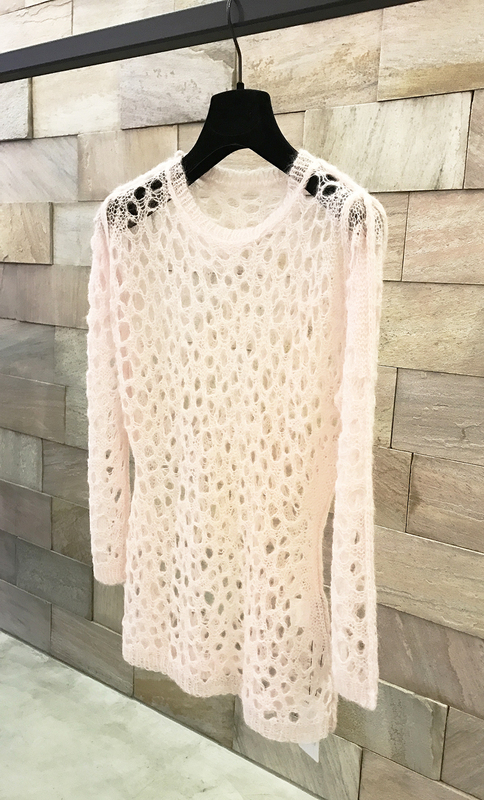 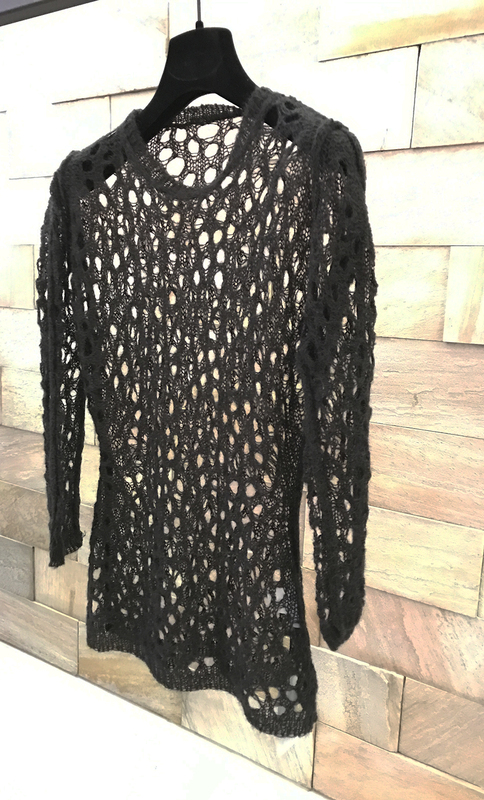 Even though it is a transparent lace knit that is difficult to make a shape, it shows a sharp design by the shaped waist and the seam of the shoulder on the inside outwardly. 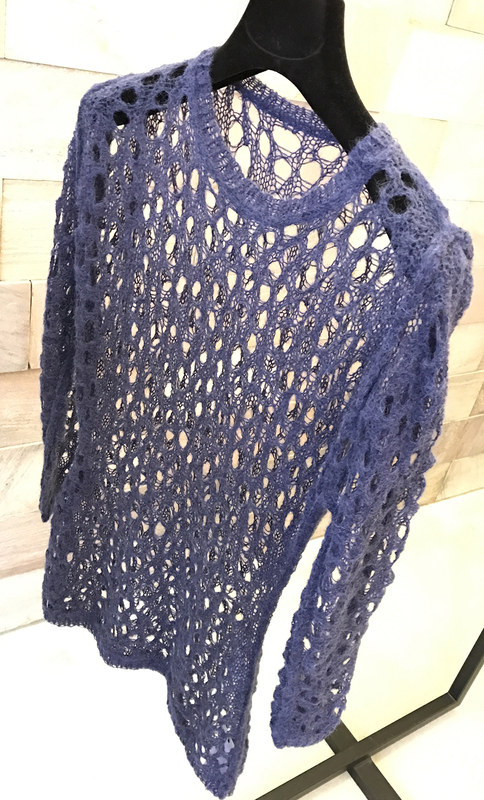 Although it looks very fine and delicate, thanks to the strength of the baby-alpaca and the entanglement of the yarn, it is difficult for the yarn to jump out even if it is caught, it is much more stronger than it looks.